Even with the advent of modern technology, cheques are one of the most convenient methods of payment. In fact, Canada still processes more than half a billion cheques every year. When you consider how many are running through the system at one given time, it’s no wonder cheque fraud continues to be one of the most common forms of financial crime. There are 3 common types of cheque fraud to look out for: Counterfeit – cheques not written or authorized by legitimate account holder; Forged – Stolen cheque not signed by account holder and Altered – an item that has been properly issued by the account holder but has been intercepted and the payee and/or the amount of the item have been altered. Even though Canada has one of the most efficient cheque clearing systems in the world, cheque fraud continues to make headlines across the country. In Sudbury, Ont. three people faced fraud-related charges from allegedly printing fake cheques back in January of 2014. According to Greater Sudbury Police Service, police executed a search warrant at a Sudbury residence on Jan. 14, 2015 and found several fraudulent cheques, a laptop, a printer and Canadian currency. This is not the first reported occurrence of illegal cheque printing and it certainly won’t be the last. However, there are lessons to be learned from these criminals that can help protect you and your business from fraud. Here are just 4 lessons to learn from illegal cheque printers. For as long as there have been cheques, there have also been fraudsters who don’t think twice about taking advantage of unsuspecting victims. And with cheques still being used as a common transaction medium, there is plenty of criminal opportunity. Being a victim of fraud can not only create a financial and administrative headache, but the invasive nature of the crime can also leave one feeling exposed and powerless. The good news is there are precautions one can take to help avoid such a situation. The most important step is to use highly secure cheques, which are no longer provided by Davis and Henderson since it stopped offering foils on its products last June. A hologram gold foil is a key security feature that protects against counterfeiting. The multi-coloured, reflective image is fused to all of Print and Cheque Now’s cheques, and, if scanned or photocopied, it appears non-shiny. The marker cannot be duplicated by colour copies, and the banks’ standard supplier carries it on all of its business-cheque products. Lesson learned: An important safety feature for laser printed cheques is a hologram. The hologram, like on currency, is a reflective image fused to each cheque. If a fraudster wishes to scan or photocopy the hologram, it will appear non-shiny. Another option is Chemical protection. These types of cheques have chemical indicators in the paper that appear as stains if ink solvent is applied. Fraudsters will often use the name of a legitimate company without that company giving their consent. Remember the old adage ‘if it’s too good to be true, it probably is?” Keep this at the forefront of your mind when dealing with cheques. To avoid being a victim, it’s important to always discard any offer that asks you to pay for a prize or gift. If it’s free, you shouldn’t be forced to pay for it. Also, if your business is accepting payment by cheque, ask for a cheque from a local bank, or a bank with a local branch. This way you’ll be able to make a personal visit to the establishment to ensure that the cheque is legitimate. Of course, that’s not always possible. Another option is to call the bank to ask for validation of the cheque. Lesson learned: It may look like a cheque and feel like a cheque, but that doesn’t necessarily make it legitimate. Lesson learned: Never under any circumstances accept a check for more than the selling price. If the buyer refuses to send the correct amount, return the cheque. Some firms use watermarks to protect their cheques. If the watermark will not appear when photocopied, the cheque is secure. Another type uses a toner adhesion process. 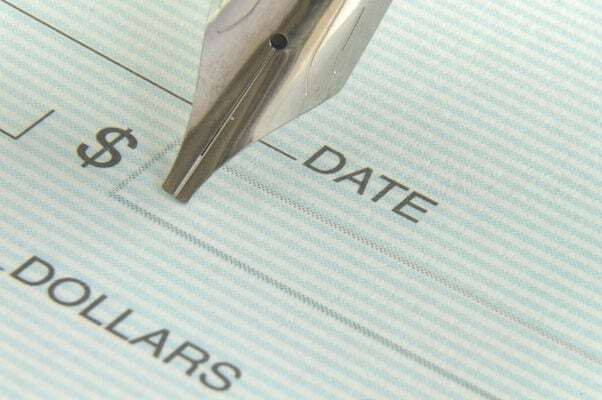 A treatment is applied to both sides of the cheque to maximize toner adhesion. This protects the laser printing against attempts to remove, scrape off or modify the printed area. Microprint is another feature. Tiny words on the cheque or the company logo should not be legible if scanned or photocopied. Lesson Learned: Taking extra precautions like watermarks or using a toner adhesion process and microprint will keep you and your business from becoming another statistic. Criminals continue to be cunning and creative in their techniques of stealing and copying cheques. By beating them to the punch and taking the right steps to protect yourself from cheque fraud, you’ll help keep illegal cheque printers out of business.